​We are a lax guild. We don't require much, just for you to enjoy. We do schedule events, such as guild dungeons, raids and achievement runs. 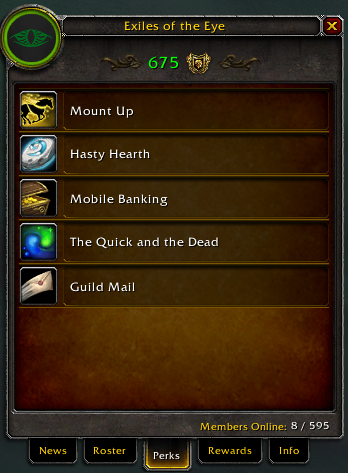 These are usually for Mounts, Battle Pets, Transmogs and of course, Achievements.